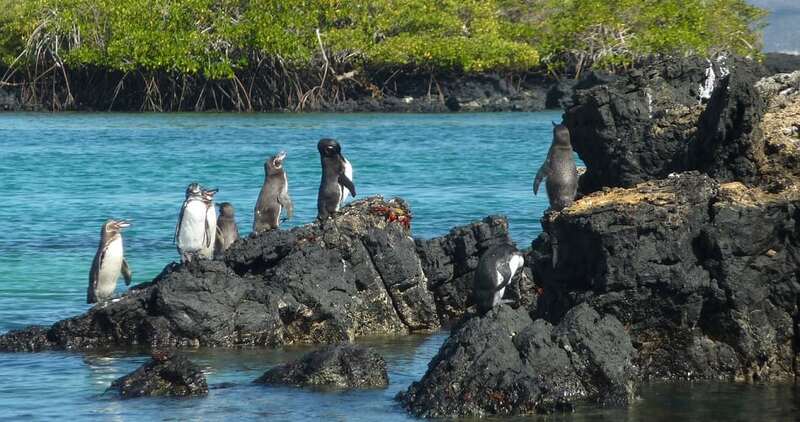 This is the only penguin type found north of the equator and in the Galápagos. It can grow to 20 inches and weigh 8.8lbs. Because of its small size it has many predators both in and out of the water. In the water it must avoid sharks, seals and sea lions, while on land it must avoid crabs, snakes, owls, and hawks.